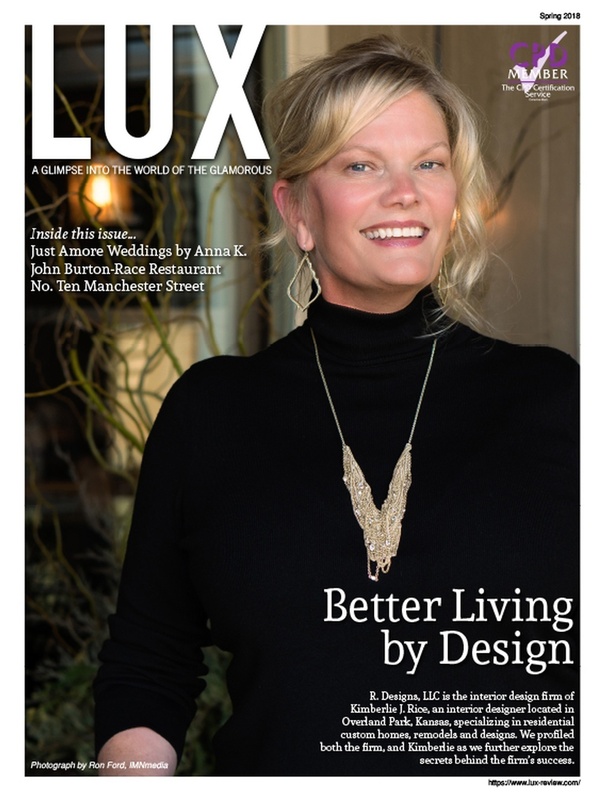 Accompanying the award, the design work of Kim Rice of R. Designs is showcased in the 2018 luxury lifestyle magazine, Lux, in which she reveals the key tricks to her sucess in home decorating. With her client-first approach to interior design, Kimberlie Rice provides tasteful design that matches clients’ budget, preference, and convenience. The featured article attributes R. Designs success to their efficiency, professionalism, and design expertise. Read the full featured article online Here!